Are you looking for an assisted living community that combines the security of care with the comforts of home? The Canal Winchester care community is the perfect place for you or your loved one. We provide assistance with daily activities in a modern, active setting that allows residents to live independent, satisfying lives. Considering a move to assisted living? Don’t delay. This special will end on May 30, 2019. For more information, call us at (614) 834-6800, contact us online or schedule a tour. Assisted living offers the assistance older adults need, when they need it. Life doesn’t stop when you move into assisted living—in fact, there are so many activities and offerings to enjoy that you may find yourself busier than ever. Each day is up to you, though. Nothing is mandatory, giving you the freedom to do as you please. Ready to discuss moving in? Residents are free to decorate their suites as they wish. We encourage you to personalize your suite with your own furnishings. See the suites for yourself by scheduling a tour. You can also view our assisted living floor plans online to get a better idea of the space (see floor plans marked “AL Studio”). 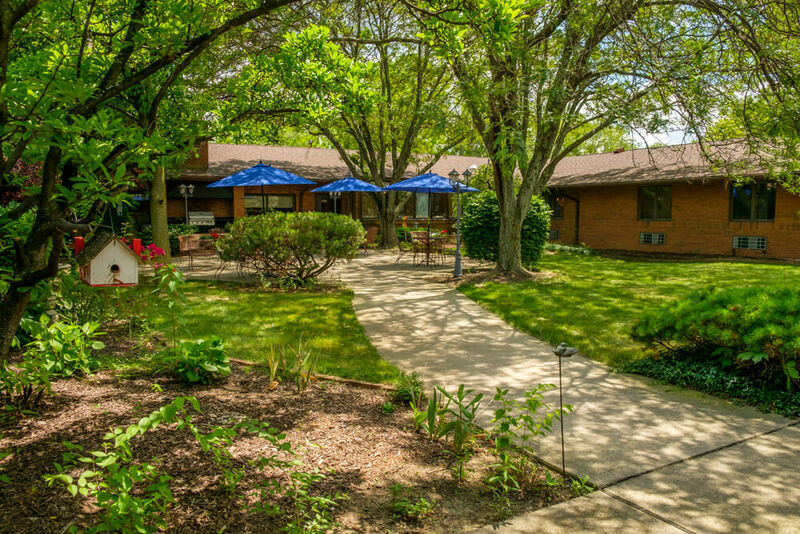 Canal Winchester Rehabilitation Center, Skilled Nursing & Assisted Living is a friendly, welcoming care community that offers assisted living in the Central Ohio Area. With the help of provided transportation, they can also enjoy everything that the surrounding area has to offer. We’re located in Canal Winchester, a close-knit community with a strong heritage of farming and family values. One major benefit of Canal Winchester is that we offer multiple levels of care all on the same campus, including long-term care and rehabilitation. Should you or your loved one ever be in need of more care, there’s no need to find another community and make a difficult move. Residents can receive the help they need from medical professionals who are already familiar with them. In fact, our rehabilitation is so popular that many seniors who come to us for our rehab services later decide to move into our assisted living community. Are you interested in moving in?